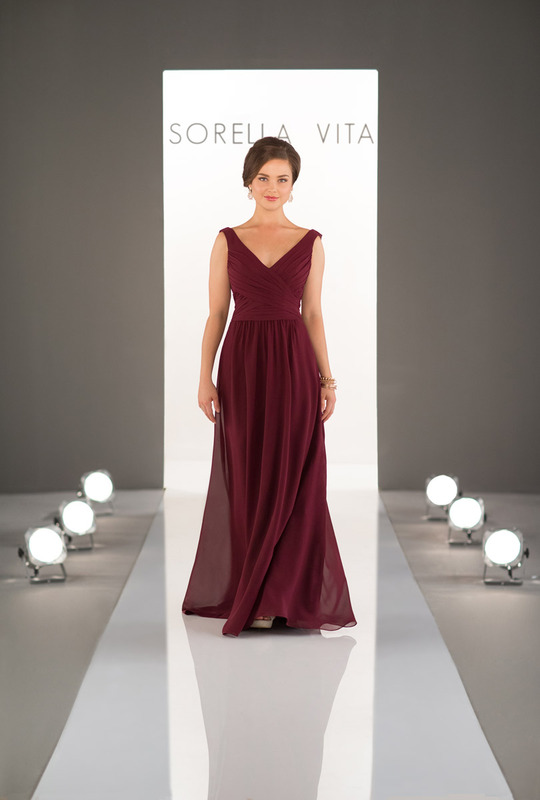 A classic addition to the Sorella Vita bridesmaid dress collection, this chiffon gown will be an instant hit with your bridal party. Featuring a V-neckline, the bodice of this gown is detailed with criss-crossed ruching that extends up through the straps, making this an ultra-flattering option for your 'maids. From the waist, the chiffon gown extends to the floor, creating an elegant skirt that flows easily with every step you take. 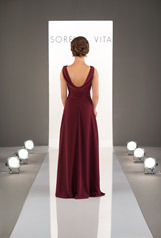 The back of this bridesmaid gown features the same ruching as the front, and is highlighted effortlessly with a cowl back, adding an element of sophisticated glamour to the style. 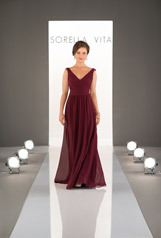 Available in over 30 colors, this bridesmaid dress will be the perfect complement to any bride's unique wedding day vision!